Alright, this post is long overdue!! But I’ve been busy working on the farm, which you can read all about on my other page. 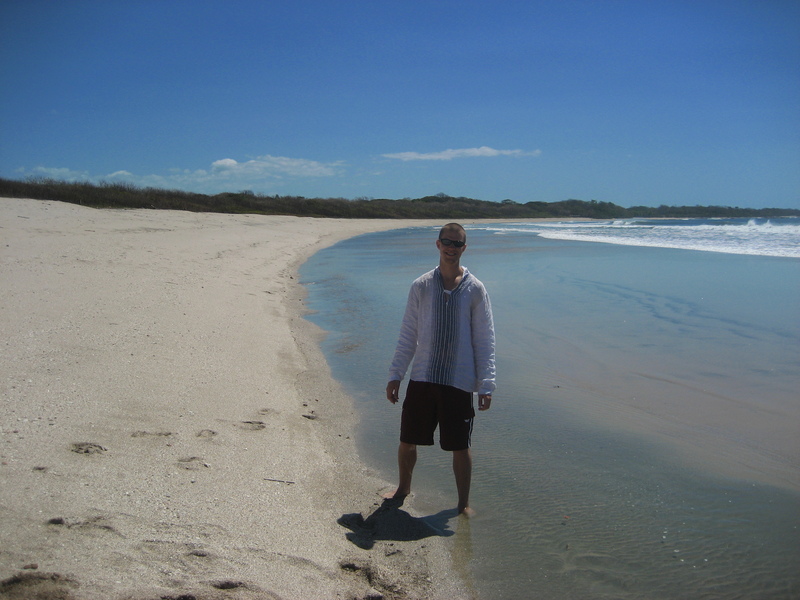 Playa de Tamarindo – a beach on the pacific coast of Costa Rica pseudo-named TamaGringo and for good reason. Tourism, trash, theft, surfing, and partying are of this beaches nature. Why I went? Just for the surfing, actually. El bus was muy barato (very cheap) but took about 7 hours from Arenal to Tileran to Canas to Liberia and finally to Tamarindo. The busing system is pretty volatile and all of Costa Rica is on big estacion de buses, meaning the buses will pick you up anywhere; in front of your house, on a twisty road, or on the highway; just as long as you wave the driver down. 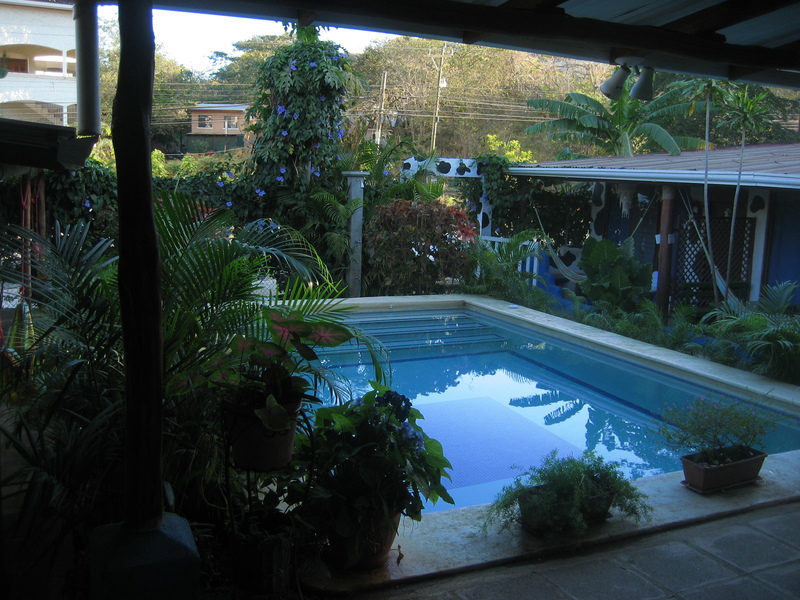 The pool at The Bottle of Milk! I arrived at La Botelle de Leche (The Bottle of Milk) hostel, set up camp, and awaited my inaugural surf lesson with Fransisco, a righteous surf teacher from Argentina. Surfing is actually really easy with a teacher because he tells you where to go, when to get on the the (very long) board, when to start paddling, and then he finally gives you a push just as the wave is mounting to break, whereafter you immediately thrust yourself up to a standing position, no problema. The difficulties come in paddling for long periods of time, reading the waves, and catching it on your own, not to mention carving the wave instead of just surfing in a linear line loosing all of the waves momentum within seconds. Back at the The Bottle of Milk, Canadians and Europeans dominated the scene. Canada, Austria, Germany, Finland, Switzerland – O the languages. I met a number of interesting worldly-folk all with their own unique countenance and stories to tell. Among the many, were four girls; two from Switzerland and and two from London who made for good company and laughs all around. After some beaching around, bumming around, two more surf lessons, and one pair of lost shorts later, I made my way home one day early to help out at a local school before school actually started.